These values characterize our work – in our own team and with our partners. People who produce as many books as we do need lots of paper. We ensure that this only comes from sustainably managed forests. In addition, we are committed to leading foundations for promoting reading and sport. Environmental protection and sustainability are gaining increasing significance – and rightly, in our opinion. This is why we have been an FSC®-certified company since 2011 and are regularly monitored by an independent organization. The majority of our products are of FSC quality. FSC® stands for Forest Stewardship Council®. This charitable non-profit organisation fights for the promotion of sustainable forestry – around the world. With our FSC® certification, we are taking a leading role in the world of publishing. FSC quality means that the wood and paper of our products are proven to come from forests that are managed both ecologically and in a socially responsible way. The rights of the workers, communities and local residents in the countries of production are respected. Safe working conditions are guaranteed. We make it possible for our customers to identify FSC-quality products, and to emphasize and promote the certification. This provides a valuable competitive advantage, but not at the cost of forest resources, the ecosystem or the communities involved. 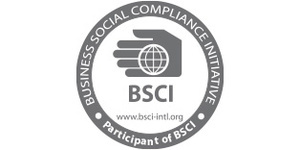 The Business Social Compliance Initiative (BSCI) helps suppliers and partners, primarily in emerging countries, to continually improve and guarantee socially just services and production methods. VEMAG has been a member of the BSCI since 2008. Within this framework, we support our suppliers in implementing the BSCI Code of Conduct and permanently following it through regular audits by independent organizations. Today, the BSCI Code of Conduct is an integral part of our supplier contracts. The BSCI Code of Conduct lays down the values and principles that the BSCI participants are obliged to implement in their supply chain. The BSCI Code of Conduct follows the conventions of the International Labour Organization (ILO), the UN Human Rights Declarations, the UN Convention on the Rights of the Child and the Convention on the Elimination of all Forms of Discrimination against Women, the UN Global Compact and the OECD Directives for Multinational Companies. In addition, particular values and principles are laid down in the following areas: the environment, discrimination, forced labour, child labour, working hours, wages, working conditions, residential accommodation, and freedom of assembly. Regulation No. 2014-1577 came into force on 1 January 2015. This regulation set out the terms for applying consistent product labelling through the use of the ‘Triman’ logo. The ‘Triman’ product label tells consumers whether a product can be recycled, indicates a greater level of responsibility on the part of producers, and denotes that the item is collected separately in France. We are honouring this producer responsibility by displaying the ‘Triman’ product label on our website. Safety is the top requirement when it comes to consumer products. As a marketer of books, gift items, creative sets and particularly toys, we take our duty very seriously. This is why we oblige our suppliers, during manufacture, to follow all the current legal regulations of the countries in which our products are to be offered. In addition to the law on product safety applicable to almost all products, children and infants represent a special group of consumers that have to be protected through the highest-possible and special safety standards. Infants experience their world by touching, grasping and putting everything in their mouth. Older children behave differently, but certainly when playing also have intensive contact with toys. This is why the EU Toy Directive and associated standards regulate the special requirements of toys, such as their mechanical, physical and also chemical properties. We work closely with test laboratories and standardization committees, so that we are always at the cutting edge when it comes to safety standards. Our products can do even more than just meet the minimum legal requirements. Consumer protection is playing an increasingly important role for all financial stakeholders, which is why we make sure that our products also exclusively meet recommended limits for contaminants. Thus our products contain even fewer critical contents than are allowed by legislators. 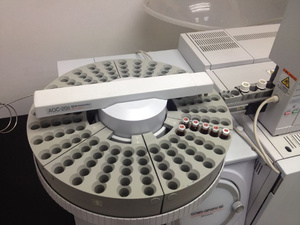 In order for us to be able to continually and systematically check materials for harmful substances, we have invested in a chemical laboratory at our main supplier. Here materials can be tested for their suitability for use in toys, books, etc. Quality is guaranteed through continuous testing during current production. Furthermore, we have our products regularly tested through independent institutes. VEMAG and the German Reading Foundation (Stiftung Lesen) - Good books for a broad public! Experts agree: reading skills as a key to learning are the foundation of equal opportunities at school and work. 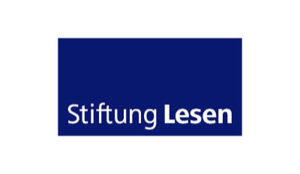 Under the slogan ‘Deutschland zum Leseland machen’ (‘Turning Germany into Readingland’), since 1988 the German Reading Foundation has fought for greater educational equality through the widespread impact of reading support. Where broad social classes are to be accessed, new routes, special access or unusual reading incentives are required in order to overcome inhibitions and make reading fun. This is why the German Reading Foundation has always worked with strong partners such as McDonald’s, IKEA and Deutsche Bahn, which present the subject of reading in unexpected ways and familiarize people with it. As experts in the mass market, we know exactly how to win parents and children over to high-quality books. We know that books have to awaken curiosity and inspire children. Our books are successful beyond the classic bookshop, particularly where they are not expected: in discounters, supermarkets, drug stores. We have been a collaborative partner and member of the Foundation board of the German Reading Foundation since 2015 and are proud of making a contribution in this way to Readingland. VEMAG is also a committed media partner of the Deutsche Sporthilfe: since October 2012, VEMAG, along with Edition Fackelträger, NGV and the children’s book publisher Schwager & Steinlein, has been a media partner of the Deutsche Sporthilfe. This partnership was started, amongst other things, through the illustrated book Hall of Fame des deutschen Sports and the benefit book Die 1.000 besten Fußballer aller Zeiten, from the proceeds of which 1 Euro will go to the Deutsche Sporthilfe Foundation, followed by the benefit book Die besten Fußballtricks from Schwager & Steinlein and numerous other titles with attractive proceeds for the Foundation. Finally, the premium illustrated book Große Momente des Sports by Jens Dreisbach has been published by Fackelträger.